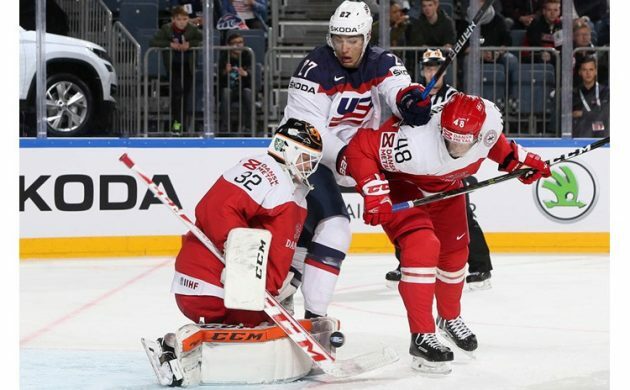 The Danish ice hockey team has started off the IIHF World Championships in Cologne/Paris on the back skate following big defeats to Latvia and the US. The Danes, who are in no danger of being relegated thanks to obtaining hosting duties for next year’s edition, started off the Group B campaign by being shut out 0-3 by the Latvians, before being run over by the US via a 2-7 scoreline. Up next for the Danes are Slovakia tomorrow at 20:15 and giants Russia on Wednesday at 16:15. In related news, pre-sales for the 2018 IIHF World Championships held in Herning and Copenhagen were launched this week. Get stuck in early by clicking here. With 21 goals and 11 assists, it’s difficult not to call Nicolai Jørgensen’s first season with Feyenoord a monumental success. In fact, his sterling play has led to the Dutch sports newspaper Voetbal International naming him as the best buy in the Eredivisie this season. The plaudits were also raining down on a Dane at rival club Ajax Amsterdam, where starlet Kasper Dolberg was named young player of the year. On the tennis courts, or off it actually, Maria Sharapova’s agent Max Eisenbud has emailed an apology to Danish tennis star Caroline Wozniacki for calling her a “journeyman” and trying to hinder Sharapova from playing at the French Open because it was her “last chance to win a slam”. Thanks to a strong 35-27 defeat of Hungary, Denmark is tantalisingly close to qualifying for the Men’s European Handball Championship in Croatia next year. While the Danes must still face the Netherlands and Latvia, Hungary was seen as Denmark’s biggest obstacle to qualification. The top two teams in the group qualify for the tournament.